When you run Windows Virtual Machine on your Mac some keys return different symbols when you hit them in your Virtual Machine window. Windows keyboard layout and Mac keyboard layout do not match. 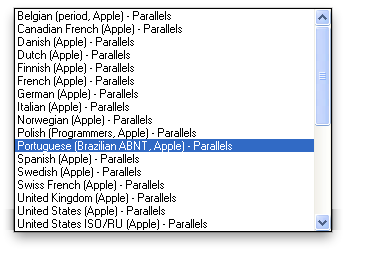 NOTE: Language with Apple keyboard layout is marked as (Apple) - Parallels in the list.